The whole story from bean to bottle of the fruity Batch Nº1! Every batch we make we use different coffee beans – that means that every batch is unique and has its distinct flavour profile. However, the story of that exact flavour starts years before you drink this bottle. And it all starts by planting a coffee tree somewhere around the equator. In case of our first batch the farmers grow their trees in the district of Karcha, close to the village Kakie in the Sidamo Province which lies south of Addis Ababa, the capital of Ethiopia. The farmers cultivate a coffee type called “Guji”. Sidamo´s coffee is famous for its citric tones and a bright acidity. The small holders grow their coffee in an altitude between 1900 and 2150 meters. Typically one farmer and his family own around 1 hectare of land and cultivate approx. 4000 trees. The harvesting season is between October and January. Beans on the drying bed. 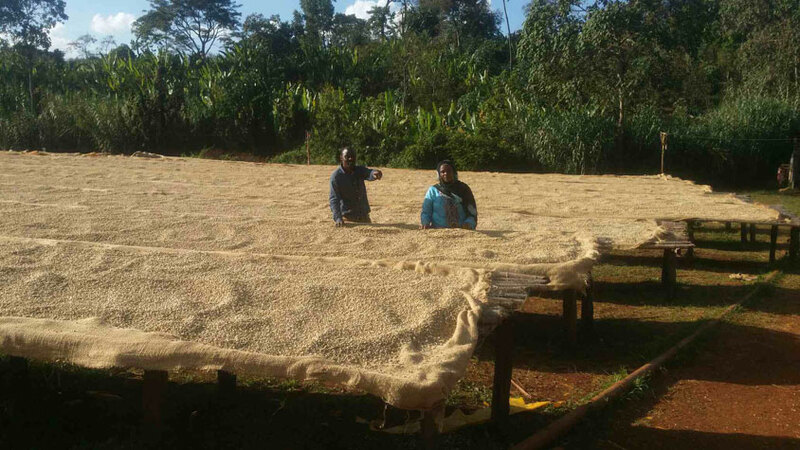 The “Ethiopia guracho” is processed wet. This means that the harvested beans go through a mill in order to get rid of the pulp. Afterwards the washed beans get 12 to 20 days of drying. The final cleaning – the step where the silver skin comes off – is done in Addis Ababa, this is also where preparation for shipping takes place. Next step on the journey lies in the hands of the men and women who are responsible for getting the coffee to the roaster. In the batch #1 it is the team of Trabocca. Established in 2003, Trabocca does way more than just organising the transport. They assist the growers by providing investments, knowledge, certification and help with the implementation of new techniques. Located in Amsterdam they strive to promote sustainability and social welfare in growing countries. They do this by establishing a transparent process and paying well above market price. That helps the farmers and their families and rewards their pursue for top quality coffee. 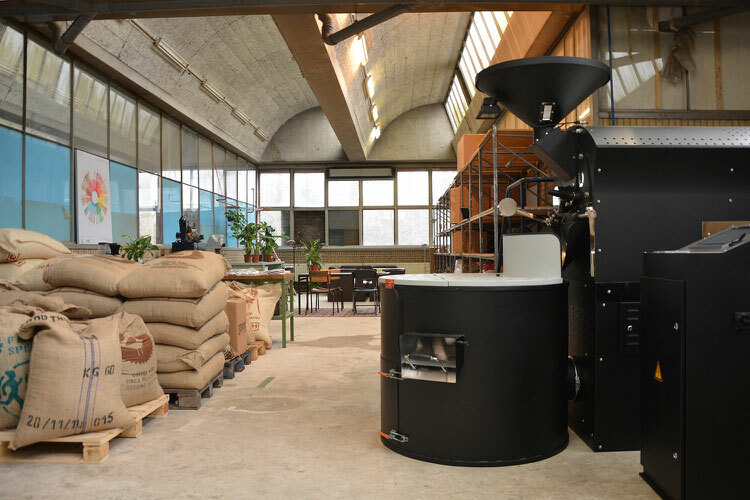 The White Label roaster in Amsterdam. On their 30 kg roaster they roast the bean light to medium to get that rich fruity flavour with a distinct smooth citric and floral profile Ethiopian Gujis are so well known for. Elmer explains that their main focus while roasting any coffee is to best bring out the distinctive traits of a coffee due to terroir, variety and processing. With the guracho bean that works so well with cold brew they made exactly that!